Do you know whats better than a million bucks? Having a car that looks like a million bucks but cost you less than a used Kia. Better still is a car that'll have even the most well read car guy scratching his head when you drive by and THAT, my friend, is worth a million bucks if you ask this guy. You can read all about the Cimbra SS by Amore in this old DT article that is probably full of conjector and innuendo...what else is new/old? 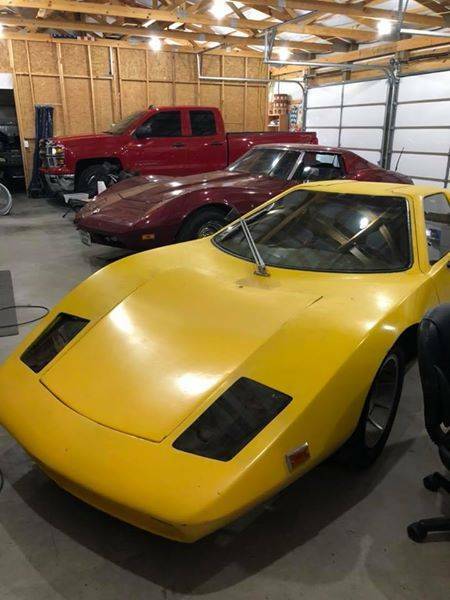 Find this 1978 Amore Cimbria Kit Car offered for $3,500 in Huntsville, AR via craigslist. Tip from Rock On! This car starts, runs, and drives. a large piece of plexiglass that can be cut for a windshield that goes with it. We have to many rides, and one has to go. Can be seen in Huntsville, Ar. I’m assuming the long nose that many of these VW-based kits seem to have is a consequence of the donor chassis and an attempt to make it work given the small wheelbase?? I always thought that the biggest problem with these types of kits was that, no matter how suggestive of speed their lines were, that flat 4 brap would always give them away to anyone who paid attention. Still cool to me, tho. Doc, just convert it to electric. V-dub E-conversions are easy. Now you have a silent sleek unique street freak! 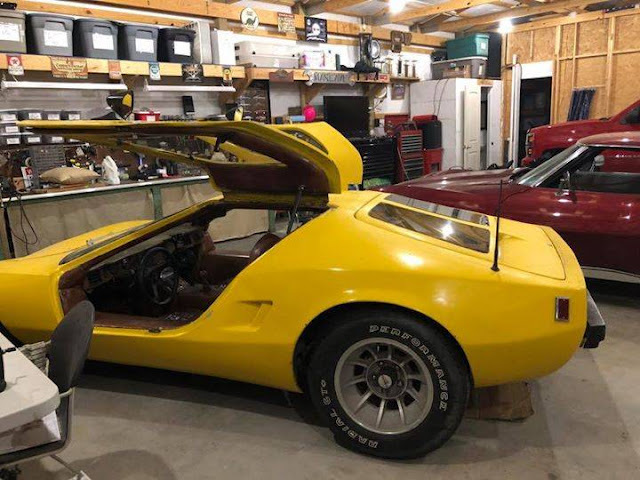 That is easily the ugliest interior I have ever seen, and I have seen quite a few that were supposed to be ugly. 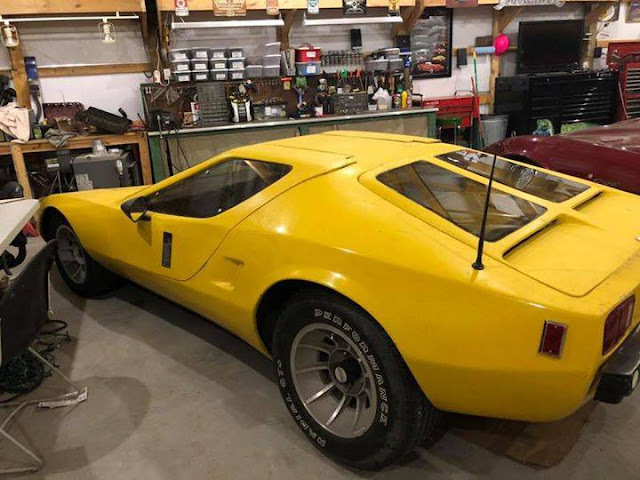 The De Tomaso Mangusta "inspired" rear treatment is particularly egregious, but the geometry of that windshield wiper really makes my head hurt. Wait. Has nobody else wondered why there are so many cracks in the windshield? Windshield is above the passenger's heads so they smack into it every time the car hits a speed bump? Tiny aliens use it as a landing pad? Owner has REALLY big cats? Dam, I was just about to say REALLY big cats! Especially as Stan suggests with an EV conversion. In these days of designed by safety standards cross overs, it’s nice to see something that breaks the mold... and they probably already have for this! I can just imagine the Pink Panther getting out of something like this. A plastic windshield is less than ideal though and probably not legal in many states.